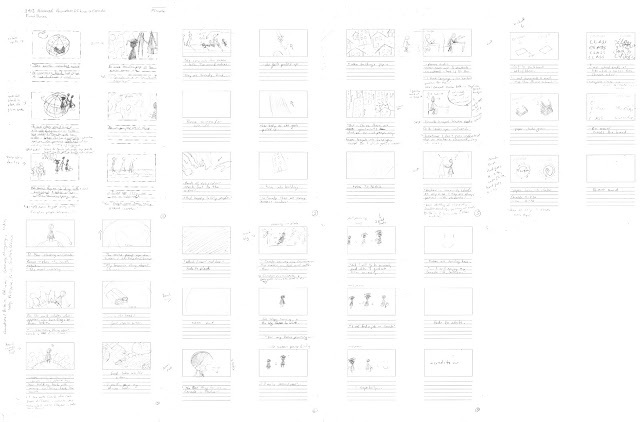 The Animatic was conceptualized, drawn, and assembled in a day. The group was given a week to plan their project and have a visualization to show the class. They unanimously decided to create a silhouette animation after witnessing Nicole's final project The Lost Kiss, from her Introduction to Video class a semester earlier. From this point Flash was selected as the animation software following Lisa Galbraith's suggestion and Ying Shan's desire to learn the program. Ying then completed the interview with Suki Bai, and Nicole incorporated the interview data into a storyboard that was scanned and then assembled in Premiere. Roshanth timed the clips to the audio track and within a week the group had an assembled Concept to present complete with audio and basic visuals. Drawn, scanned & assembled by Nicole Wilk. 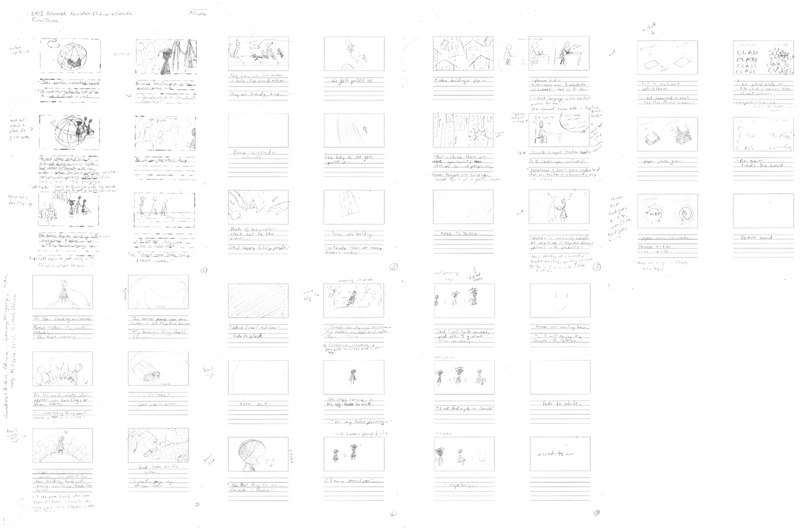 The storyboard incorporates the interview that Ying Shan obtained for us within a few days of cementing our idea, but Lisa delayed in the character design so I created the storyboards fairly roughly. After review, scene that needed changing was the food on page 5. To incorporate more motion into the piece we created a restaurant scene that incorporates a famous Chinese food chain that serves Duck.